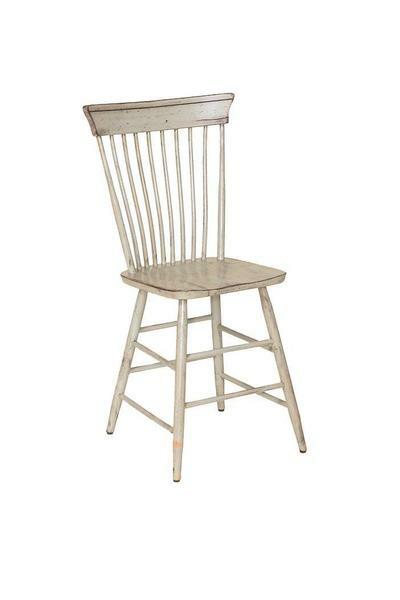 The Amish Plymouth Captain Counter Chair takes from both the Mission and Windsor styles. While it is not a classic bow shape, the spindles stretch from seat to crown, and the stretchers and leg assembly clearly display strong Windsor style influences. The Plymouth Captain Chair also displays an emphasis on function and form. The back spindles resemble Mission paneling, while the crown fixture brings Mission style solidity and balance. Inspired by traditional designs from Plymouth, Massachusetts (home of the Pilgrims), the Plymouth Captains Chair is a true American classic. It is completely handcrafted, and available in a number of beautiful hardwoods and finishes. Hardwood selections include Oak, Quarter Sawn White Oak, Maple, Brown Maple, and Cherry. Made in America, in good old Pennsylvania! Enjoy these Amish made counter chairs at your kitchen bar, counter or pub table. Built the Amish way, the Plymouth Captain Counter Chair is built to support everyday use for years to come. Consider our Plymouth Pub Table to match this barstool! For more information call 1-866-272-6773.